Under the direction of new head coach Shawn Theriault, the Danvers High School football team will look to return to the playoffs in the fall of 2014. 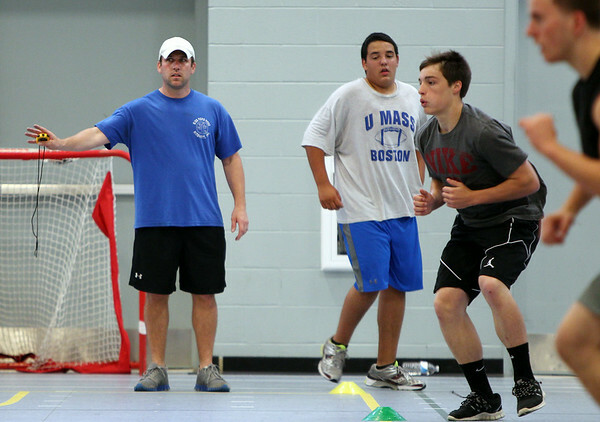 Theriault runs a few agility drills during an offseason weight training and plyometrics program on Wednesday afternoon at Danvers High School. DAVID LE/Staff photo. 6/18/14.